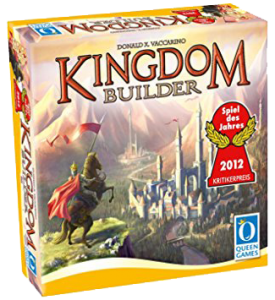 Kingdom Builder does require about 10 minutes of training and has a small learning curve. However, it is considered a “gateway” strategy game that is easy to learn but hard to master. A typical game last about an hour. Up to 5 players can play the game with the Nomads game expansion.